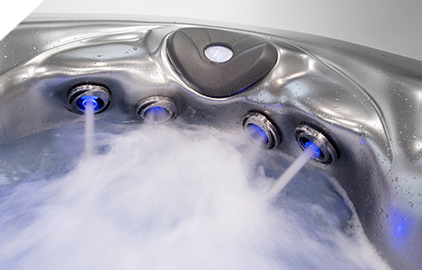 Our exclusive, patented Master Force™ Bio-Magnetic Therapy System comes standard on all Legend Series hot tubs. 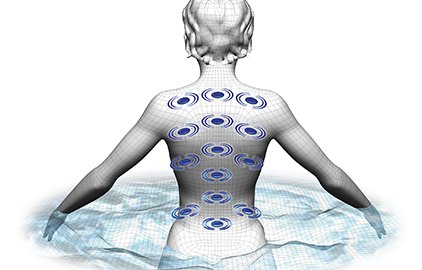 Used for centuries to help relieve pain, improve circulation, reduce swelling and alleviate stiffness, magnetic therapy is seeing its rebirth in modern medicine. Today, more and more doctors and physical therapists are using magnetic therapy for the treatment of back problems, arthritis and sports injuries. And, nearly 70% of all professional athletes regularly use magnetic therapy for pain relief and performance enhancement. 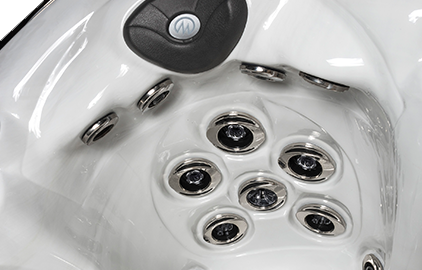 The Master Force Bio-Magnetic Therapy System applies magnetic therapy to pressure points on the neck and back with the strategic placement of powerful magnets behind the StressRelief Neck and Shoulder Seat™.